There are a number of storylines generating buzz leading up to the marquee matchup between the Los Angeles Rams and Kansas City Chiefs on Monday night. 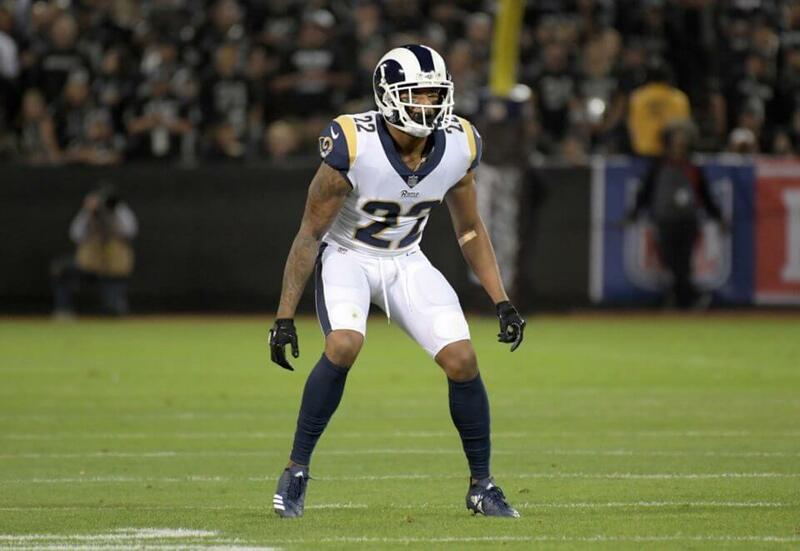 Among the most notable is Marcus Peters squaring off against his former team for the first time. “We’re playing football against the Kansas City Chiefs. It’s just another football game we’ve got to play,” he said Thursday. Peters’ restraint may come as a bit of a surprise. He has never been shy about voicing his opinion. Although his departure from Kansas City was rather unceremonious, it appears there is still a sense of mutual respect between both sides. After all, Peters enjoyed has plenty to be thankful for. They invested a first round pick in him back in the 2015 NFL Draft and he was able to make an immediate impact on their defense. He earned All-Pro honors and a trip to the Pro Bowl twice during his first two years with the Chiefs. He was also the NFL’s co-interceptions leader in 2015. Although the reasoning behind their rift is still rather unclear, there is no question that he enjoyed plenty of success in Kansas City. Peters’ lack of interest in getting some sort of ‘revenge’ is likely overshadowed by his focus on a potential resurgence. He has been unable to replicate his success in Los Angeles thus far after struggling mightily throughout the course of the 2018 campaign. Fortunately, he is coming off a promising outing versus the Seattle Seahawks and his familiarity with the Chiefs raises hope that he can follow up with another strong performance.